You heard me right, I said blend of coffee and tea. Not really two things that you think of combining, since they are pretty darn good by themselves. But together, they have a harmony, a real Yin Yang, if I do say so myself. Clever name, Cha Dao. Very clever. It is just so incredibly delicious that I seek it like an addict that needs a fix. 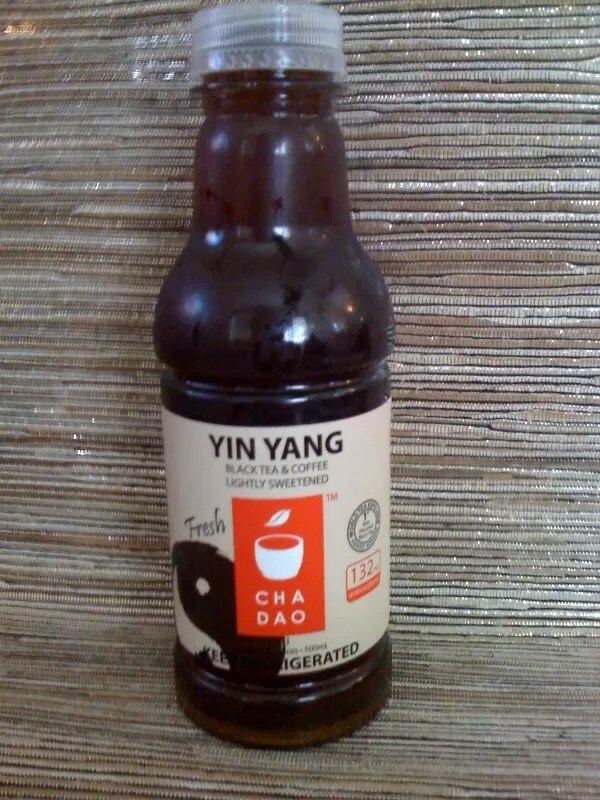 I go to my local grocer, “Hey, do you have any more of these?” pointing to the one Yin Yang left in the cooler. “No, we’re out,” he says. “Well, when are you going to get more?” I say, becoming irritated. “I don’t know,” he says. “But you can order a case and they will ship it here for free.” A case? A [email protected]! Yes, I need a case. Never mind where I will store this refrigerated beverage in my tiny fridge. I gotta have it. Perhaps the best part about this dark amber nectar of the gods (okay, so maybe that’s a little much) is that it is made here in Seattle. AND it’s fresh. Very fresh. It has fairly short expiration dates, which I like. It doesn’t last that long around here anyway. Apparently I’m not the only one in the world who has an obsession with this coffee/tea. They have been winning award in the tea world the last few years. If only more stores carried it. In Tacoma, where I live, I have only found it in Metropolitan Market. And we are neighbors with Seattle. So who knows if you have it where you live. But the good news is you can order it online at www.chadaotea.com.